SIGN UP FOR OUR FREE WEBINARS! and receive my eBook “Ten Ways To Happiness” as a gift! Why would I need this workshop? Do you often feel guilt over your child’s behaviour? Does your child feel angry, frustrated or unable to voice their emotions? Do you worry about your child and sometimes feel embarrassed about their behaviour as you feel this is a reflection on you as a parent? As well as being an expert in my field, I am also a parent. I know that raising children can be hard and there is so much information out there which can often confuse more than help when you start to seek advice. I understand how difficult, frustrating and stressful raising children can be alongside our busy lives. IT’S OK, YOU ARE NOT ALONE. Grab your place at this life-changing workshop today! Transform Your Child, Transform Your Family. My name is Usha Chudasama and I am an experienced Psychotherapist, NLP Master/Trainer and Leader of unique transformational personal development and life-skills workshops for children and adults. I am passionate about supporting parents in addressing the pain points in their relationships with their children, which when identified and worked on, helps them and their children lead happier more peaceful lives. We all want our children to be happy – let me help you on your journey. 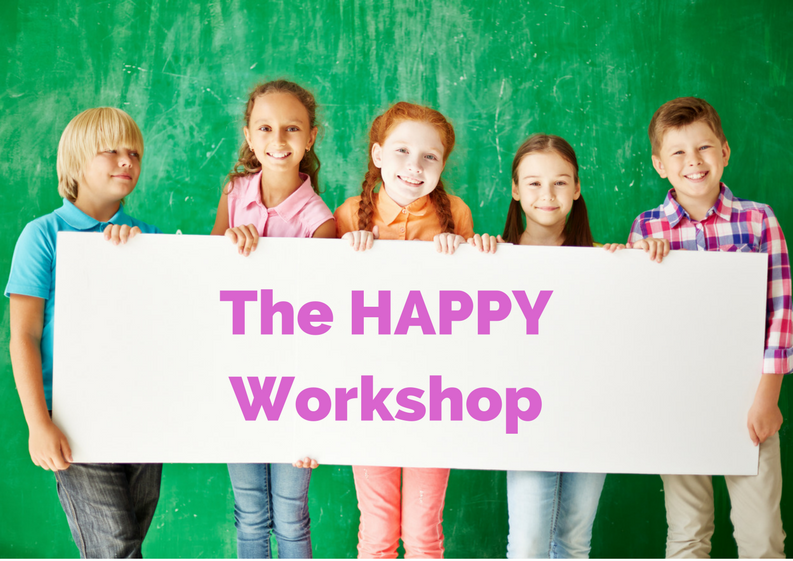 When I designed the HAPPY Workshop, I wanted to stop parents and their children feeling this way. I knew with my knowledge and experience, I could help parents and equip them to learn techniques that would enable them to have happier, healthier and more peaceful relationships with their children. I knew I could help you. What will parents and children get from this course? You will be able to let your child do more problem solving on their own! Don’t delay, secure your place and start making positive changes for the future now! Steve is 9 years old. Steve goes to a state primary school in East London. Steve loves football and drawing and he is a very polite and kind mannered person. He has a gentle and caring nature and is sometimes mistaken as being weak by his peers. He has been the victim of bullying at school and his mother is concerned about this. She wanted him to come to The Healing Feeling4Kids© to help raise his self-esteem, and learn strategies so that he could build his confidence to help himself. She said that he is quite opinionated and a strong character at home. He can be quite assertive. Steve was happier, more willing, and friendlier especially towards his Dad. (Apparently the friendliness towards his Dad was quite exceptional, there has been considerable animosity between them). Parent felt that he was more in touch with his feeling and those of others. She said with obvious emotion in her voice that he had said: “I love you Mum” this was apparently quite exceptional for him. She also found him singing whilst he was playing which is something he has not done for many years. On one occasion in the week he had thrown a tantrum then within 2 minutes was calm and relaxed again, usually, he would have played up for the rest of the day. I enjoyed everything, it’s a really good place. I liked playing games especially the prickly ball and the bean bags. I liked doing the massage it made me feel warm inside. I liked the place I made in the tree, I felt very happy because there was no-one to upset me. I felt it from my head to my tummy in a straight line. I’m going to tell people it’s a really good place that was really exciting. I got to learn to do massage and how to relax. I learnt to get rid of bad things in my head. I’m going to tell people that it’s a good place where you get to do exciting things and feel very happy, excited and peaceful. At break time you get to play outside and the nice people give you fruit. I liked it when the bubble burst and everything went blank like a TV when it is switched off. 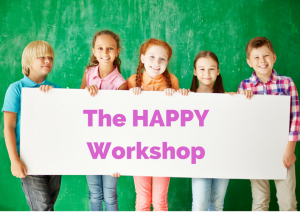 If you would like to have a happier and more harmonious relationship with your child, book your place on the HAPPY workshop today! “He is now so much more confident and we truly feel that we have our child back and can’t thank you enough! Parents and kids in this situation (bullying) need a “pocket” Usha, that they can call on whenever they need to – thank you!” – (Parent of a 10-year-old). “This course is a worthwhile investment. In the parent session, I felt connected and shared something worthwhile”. (Parent of an 8-year-old). “The workshop has given her the opportunity to look at herself and her behaviour. It has allowed her to reflect and think positively about herself and with other people.” (parent of a 12-year-old). You can read more case studies about how my work has helped parents and their children here.